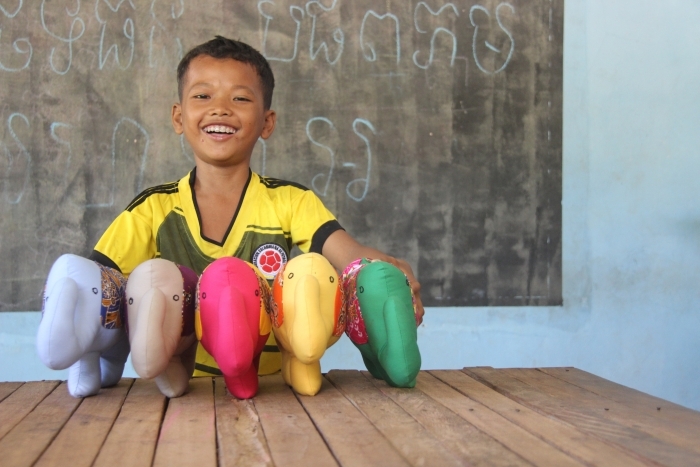 What is Elephants for Education? With poverty comes other social issues, such as lack of hygiene, illnesses, domestic violence, child labour and more. We work directly with children and their families so that with our support they can understand the value of education and help to address these social issues. We want them to break the cycle of poverty so that the next generation don’t have to deal with the hardships that this generation does. *Please note that unfortunately we cannot ship our elephants outside of Australia due to the cost. 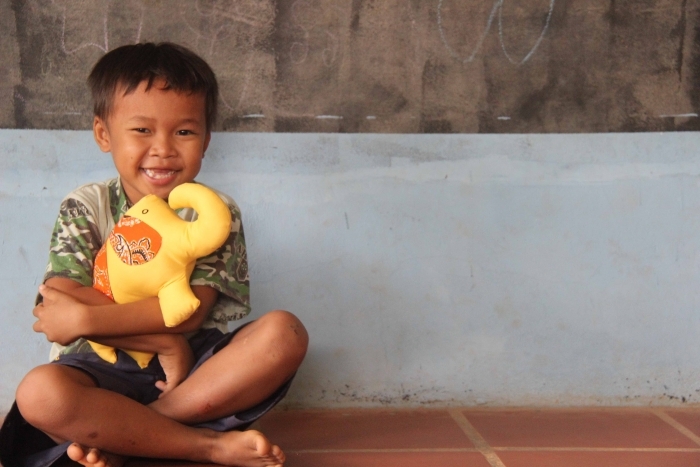 We can, however, send you a cute "e-elephant" from our Director in Cambodia to say thanks! Who are Human and Hope Association? Human and Hope Association is a registered NGO in Siem Reap, Cambodia. We are a grassroots community centre run by a local Cambodian team. We focus on empowering methods of development instead of direct aid, as for our community to move out of poverty they need to take responsibility for their futures. How can we be sure you are using the money as intended? HHA Cambodia’s accounts are audited every three months by their qualified board treasurer. HHA Cambodia and HHA Inc’s bank accounts are verified and checked every month by the Director of HHA Cambodia and President of HHA Inc.
We display our monthly income and expenditure reports on our website. We provide an annual report for HHA Cambodia in January each year and for HHA Inc. in August each year. HHA Inc. has their accounts audited externally once a year and must comply with all regulations in Australia. Additionally, we want to assure you that we don’t only rely on donations. We generate some of our own income through our sewing business, farm, tuition for English classes and other means. We know that we must set a good example for our community so we work hard to show them that we don’t only function on donations. How can I find out more/get involved? Thank you very much for your interest in helping Human and Hope Association! 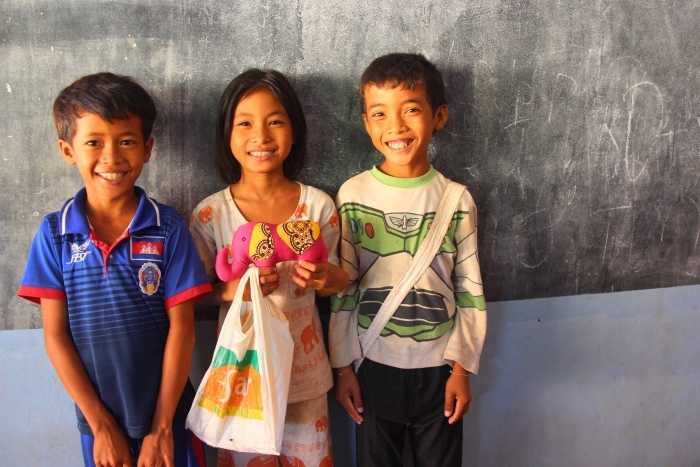 As a small organisation, raising awareness is key in helping us to continue and grow our programs, and empower Cambodians to create sustainable futures for themselves. Here are a few ideas that you may like to use! Shout out to us on your blog or website! Get the word out on social media. To find out more on how you can help in Australia, contact our Australian board at [email protected]. Do I have to get an elephant? I just want to support education. Don’t worry, we won’t be offended if you don’t want an elephant! Instead of selecting a perk, just enter an amount at the top of the page. All the funds will be used for our education programs. Our elephants are bulky, so postage would cost a LOT! If you live outside Australia and want to support us, the whole donation will be put towards our education program. However, if you are super keen to get your hands on our elephants (and we don’t blame you), shoot us an email at [email protected] and we can work something out for you! How do I tell you what colour elephant I want? We will email you after you pledge to ask what colour you want. No. However, if you did want to make a tax deductible donation to the campaign, without receiving an elephant, you can visit our fiscal sponsor, World Relief Australia, and make a donation through there. We sure do! As we are a charity we can’t discount TOO much, but we certainly want to reward you for your support. Get in touch with us at [email protected] so we can work out a deal! When will the elephants be sent? Our elephants will be sent by the end of October 2016. If you urgently needed them, please let us know and we will try our best to get them out earlier! Do you have other products available? 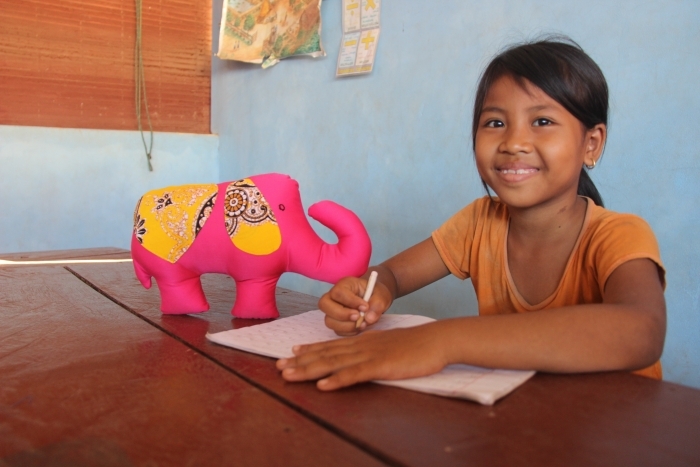 Yes, the very talented team in Cambodia have a lovely range of homewares, accessories and toys available. Check out www.hopehandicrafts.com, which we are constantly updating with new products! We ship internationally from the webstore. 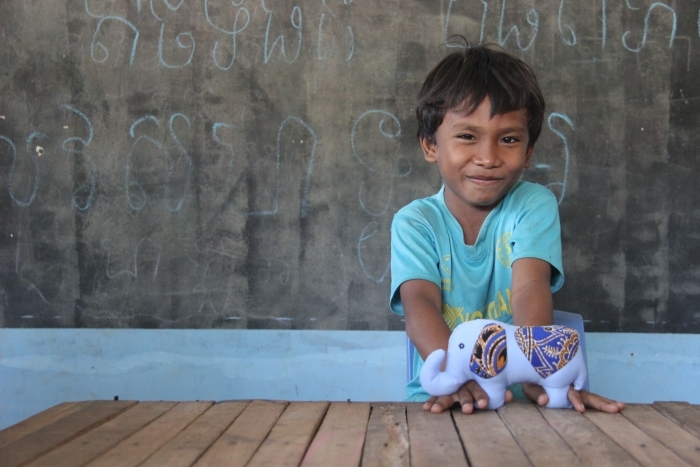 For every elephant you purchase you provide education to a Cambodian child. Help us break the cycle of poverty with knowledge. We will send you a junior elephant of your choosing. Shipping is included in Australia. Est. Delivery Date: By the end of October 2016. We will send you a parent and child elephant of your choosing. Shipping is included in Australia. We will send you all five of our Junior elephants. Shipping is included in Australia. We will send you all five of our parent elephants. Shipping is included in Australia. We will send you our whole elephant family. That is 10 elephants! We will send you two whole elephant families AND a personal thank you video from the Director of HHA. Shipping is included in Australia. We will send you an elephant family, give you a shout out on Facebook, list your business as a sponsor on the Human and Hope website and send you a bronze sponsor certificate. Shipping is included in Australia. We will send you two elephant families, a personal thank you video from our Director and post it on social media, list your business as a sponsor on the Human and Hope website and send you a silver sponsor certificate. Shipping is included in Australia. We will send you three elephant families, a personal thank you video from our Director and post it on social media and YouTube, list your business as a sponsor on the Human and Hope website and send you a gold sponsor certificate. Shipping is included in Australia. * $753 in offline donations included in total.